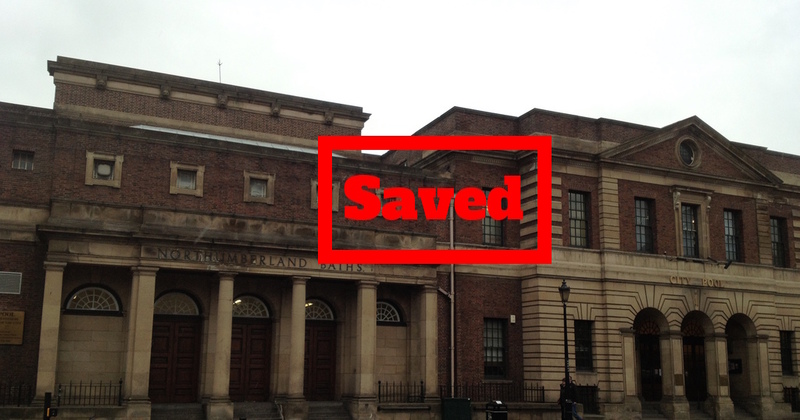 We are delighted to announce that the future for Newcastle Turkish Baths, City Pool & City Hall has been secured. Newcastle City Council confirmedFusion Leisure Limited as their preferred partner for site. Working with us, and Newcastle Theatre Royal who will manage the City Hall, Fusion will restore the Turkish Baths and re-invigorate the City Pool, investing £5 million into the site. Fusion have a track record in managing leisure facilities that are affordable and accessible to the public such as Brockwell Park Lido in London. We are delighted that our voluntary work and campaigning over the last two and half years has been successful in ensuring that the Turkish Baths and City Pool are re-opened as affordable and accessible leisure facilities. We are pleased that Fusion share our vision and have the experience and resources to manage the historic restoration of the Turkish Baths and renewal of facilities within City Pool, and a continued future for City Hall. We are excited to continue to be involved in the future of the building, to ensure that it re-opens as a valuable resource for the people of Newcastle and an attraction to people visiting the city. Read Newcastle City Council’s official press release. We are a small group of dedicated volunteers and want to acknowledge their hard work in campaigning as well as support from Locality, Social Investment Business and Jesmond Community Leisure in our journey of the past couple of years. Follow us on Facebook Re-open Newcastle Turkish Baths & City Pool and on twitter @NclTurkishBaths and our website www.newcastleturkishbaths.org.uk for more information.